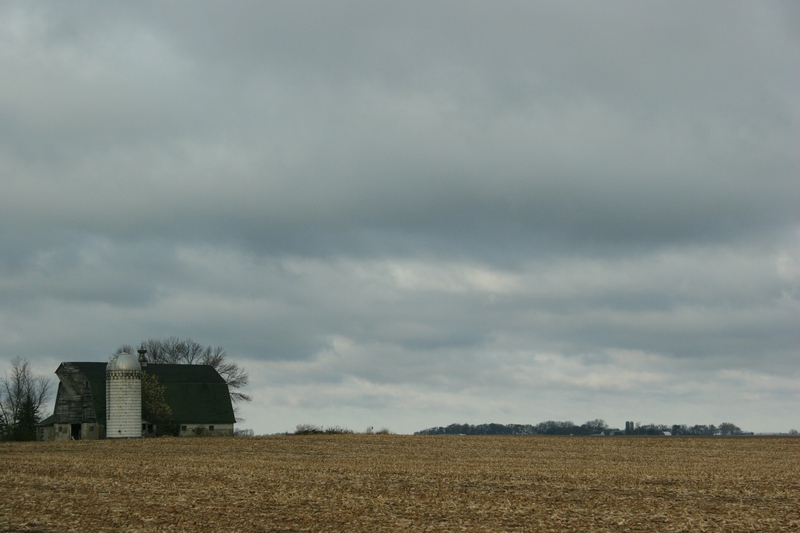 Grey skies hang over a barn and harvested cornfield west of Sleepy Eye along U.S. Highway 14 on a late October morning. AS THE SEASON SHIFTS here in Minnesota, I struggle to hold onto the light. To the color. To memories of lush landscapes and warm days. 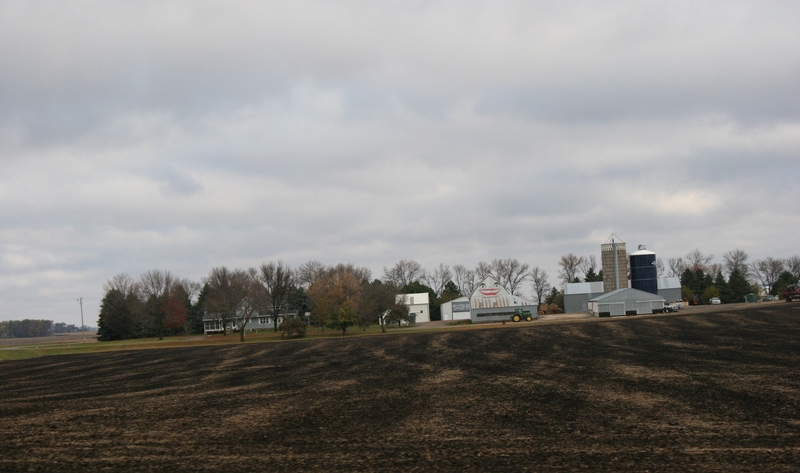 A bare field near Belview in southwestern Minnesota on a late October morning. I am no fan of the transition months—November and March. I’ve always thought these the least visually inviting. Grey skies dominate. Cold winds rage. The land appears devoid of color. Black fields. Muted tones. Everywhere. One of my favorite barns in the Springfield area along U.S. Highway 14 in southwestern Minnesota. But then a barn flashes red in the monotone landscape. 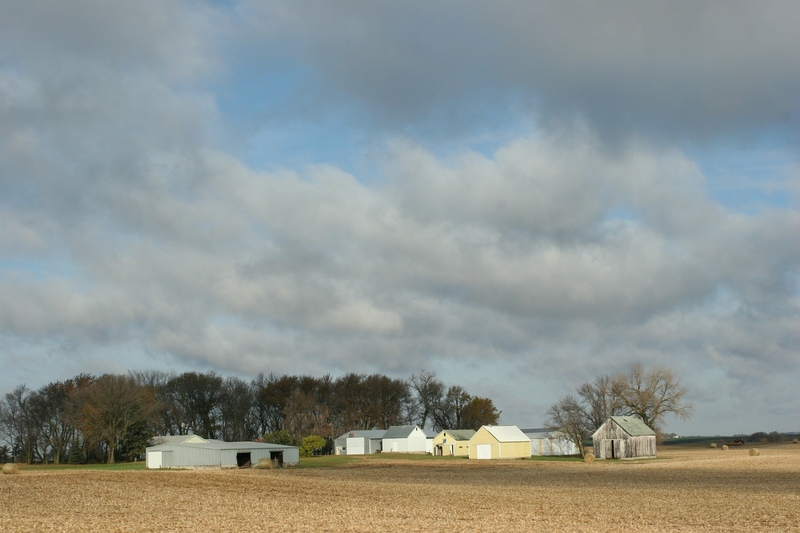 Clouds break apart over a farm along U.S. Highway 14 in southwestern Minnesota. Sun spotlights through the clouds beaming light upon the land. A patch of blue emerges overhead. In the final days of October, my camera landed on this stunningly beautiful treeline near Shieldsville. 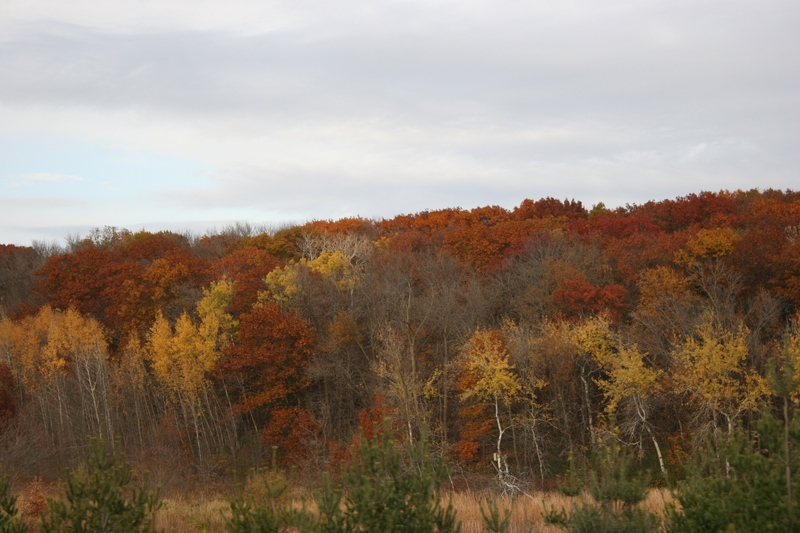 I’ve seen some of the prettiest fall colors near my Faribault home. This is true every year. 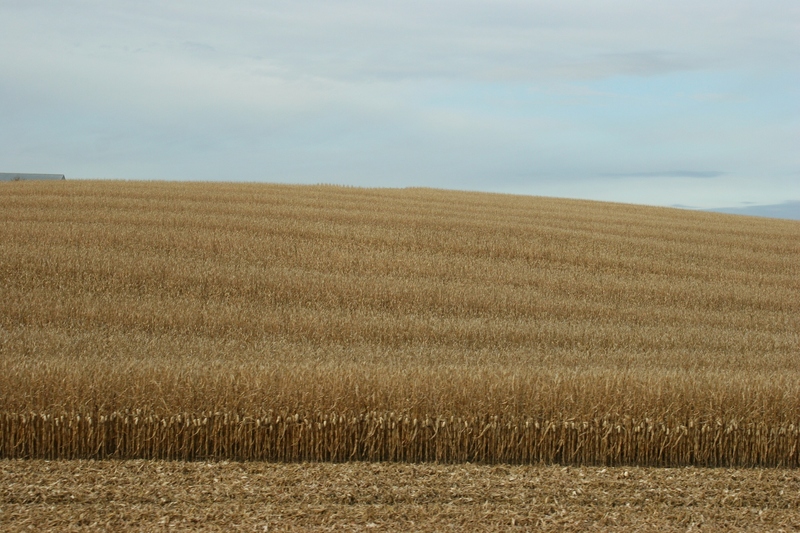 Nearing the end of October, some corn remained to be harvested. Along U.S. Highway 14 east of Springfield, this brick barn stands strong and tall. I begin to notice patches of color—autumn leaves still hanging on, corn carpeting fields, defiant red barns still standing. The barn with the smiling lips, between Sleepy Eye and Springfield, always makes me smile. 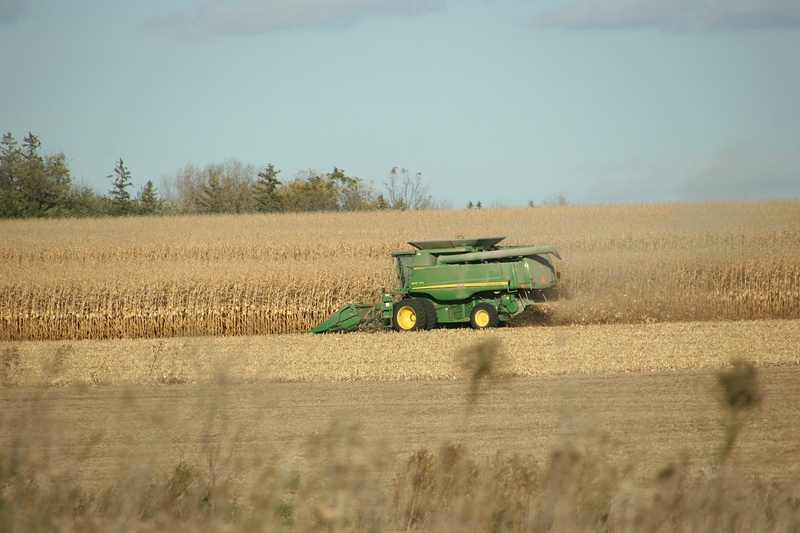 Harvesting corn along U.S. Highway 52 in the Rochester area in mid-October. 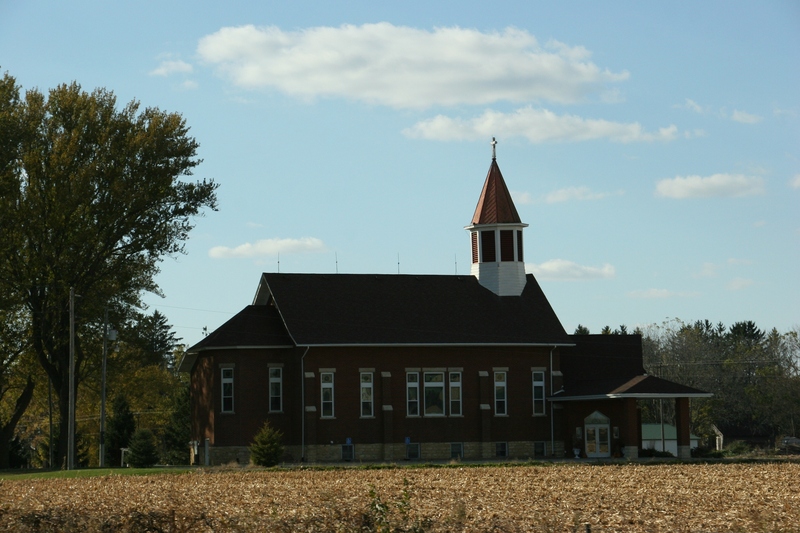 A country church along Interstate 90 near the Winona exit reminds me of blessings and thankfulness, especially at harvest time. Reasons to smile. Reasons to appreciate November. This eleventh month raises my awareness of thankfulness. Thankfulness that I live in Minnesota, a state of four seasons, of changing landscapes, of bountiful harvests. And this week of unexpected November warmth. The golden Larch & rusty Oaks are such a nice last warm color… Generous offering before the winter paints its palate on that part of the world. Blessings on the bright barns! Thinking of you during this transition time. Wishing you some blue skies & many Cardinal sightings! You are so sweet, Marney. The weather the past several days has been gloriously warm and sunny. A treat in November. So glad you have some unexpected warmth to tide you over through the upcoming cool months. That is indeed a blessing. Another beautiful morning of sunshine here. That is a great barn with its A.C.O. block and silo. I concur with your transition month notion. This next five or so months are challenging. B&W imagery yields some amazing results though. The story can no longer rely on color, but rather a full tonal range, contrast and composition. You are right in your assessment of photos during the upcoming months. That barn near Springfield is one of my absolute favorites. To see a barn in such remarkably good condition, obviously loved, is wonderful. And the silo rates as a bonus. YES!!!!! Let’s hear it for “unexpected warmth”!!!!!! The landscape out my livingroom window this morning is a tad fogged. I suspect that the valleys may be experiencing total white out and, as in the past, it will slowly creep up the narrow cracks in the ridge and begin to envelope our little corner of the world. Your assessment of this time of year echoes mine although I very much like March as its blustery winds come through and “clean house”, so to speak, ushering in that grandest of seasons….Spring—–bursting with promise and dreamy thoughts of lush greenery. For now, the season of “bedding down” is upon us with the softly falling crystallized droplets blanketing the rolling hills with hushed frigid whiteness. How’s that for some “mind pictures”????? Hope to get a short ride in before Tom heads to the station for “Full Service Wednesday”. Hugs…………………. Your comment sings poetic. You are not only an artist of thread and fabric, but of words. Beautiful description of your part of the world. Please email and tell me more about “Full Service Wednesday.” I want to incorporate that into my upcoming post on Houston. November is a month for oaks. While all other trees have shed their leaves, the oaks hang on. A bit of white snow, a path of blue sky and the color of oaks – now there is a picture. I can picture that scene in my mind. Oaks are probably the most beautiful of trees. Such strength. Such majesty. Thank you. I hope your visit back to Minnesota went well, despite the reason. My visit went well – service was nice and at the cemetery two eagles flew over when taps played (I heard about it, but did not see it). Amazing Grace and the Honor Guard Gun Salute always makes me emotional. It was nice to see my family and friends 🙂 Need to go back for a longer visit next time. I feel the same when I hear Amazing Grace, the gun salute and taps. What comfort those two eagles offered. That is lovely. I’m glad you had a good visit “back home.” With family is where you needed to be. I can only imagine the shrieks of joy and hugs that followed your sudden appearance. How wonderful that you have this second set of parents. I can read the family love in your words. 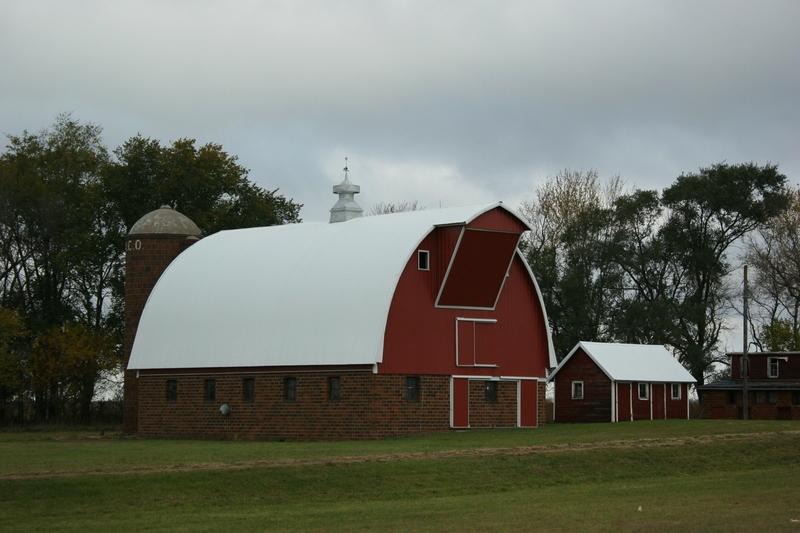 Barns are meant to be red and some beautiful ones lines U.S. Highway 14 in southwestern Minnesota. Yes, I still think the blue barn was odd but it did make people look so I guess they were successful. Yes, the Culvers blue barn along Interstate 35 succeeded because it got people’s attention. call me crazy but there it is! 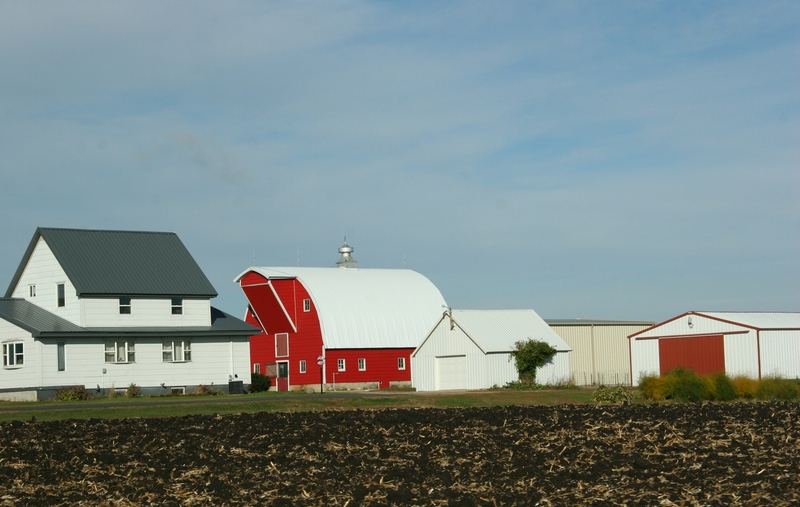 Also I like the looks of that red barn, so Midwestern! Don, welcome back to the comments section after your lengthy unexpected “vacation.” I am thankful to have you here. That said, yes, I will call you crazy with ranking winter second at four months. My friend Jackie would agree with your high placement of winter. She loves that season. Maybe if I could ski, ice skate (I could once upon a time) and had a fireplace, I would share your attitude. Heavenly in all the vast colors. Thank you, my dear. Fortunately I’ve been blessed with many photo sales recently to support your assessment of my skills. So glad you’ve had some warm weather days your way as yes, winter is “sliding down the slopes” so to speak. Our days here have been high 70’s and lows 50’s and past few mornings have been totally white-out with fog. Here in central Texas we’ve had over 10″ of rain and more coming in tonight, so our bare and plowed fields are starting to sprout “green”; green weeds I’m sure, but that’s ok as we’ll take the moisture. Most years we’ve already had a freeze but not sure when this year. Enjoy those fall colors as long as they last. I have definitely enjoyed this spell of warm weather in November. These bonus days allowed me to finish the yard work. Tomorrow the weather will switch to more November like. I’m glad to hear you got much-needed rain. You are warm-blooded aren’t you? Still sleeping with the windows open. I have flannel sheets on the bed already. Thank you. I attempt to tell a story with my photos. And that always includes detailed and overview shots. Happy to take you back home to Nebraska this morning. Love the sentiments over the passing of one season to another. Your words and photos inspire your readers to pen poetic thoughts too. Sometime I enjoy reading the comments as much as the postings. I agree. Some of my readers are poets, and perhaps don’t even realize it.